I have been reflecting on the events of this year - the highs, the lows - on a personal, professional and business level. You see, for me, these three things are so intertwined, that the sadness of what I do professionally can bleed into the other two. And with that, the other two need to be really joyous to be able to cope with the constant onslaught of sadness. And when you get a year where the personal and business sides aren't so great, then.... reflections help put it all into perspective. My parents always taught me to smile - every day - no matter how you may be feeling inside, or what the outside world may throw at you. So I do smile - every day. Don't our pets do that to? Whenever you see them, aren't they always smiling at you? Happy to see you? Doesn't that make you feel better? My parents also taught me to take deep breaths, and face challenges that life may give you. After all, the challenges I face can no way compare to the challenges that they had faced in their youth, or the tragedies that others have or are facing. Our pets also have to face challenges now that they never had to - all of the things of our modern lives - the things that take us away from them, like the computer games and the hard working families that barely have enough time for each other, let alone the family pets. As a veterinarian, I, like many of my colleagues have had an emotional ride - sometimes it is "Woo Hoo - how exciting - we have helped your pet make a full recovery".... to the lows of saying goodbye to old friends. As Russell Vale Animal Clinic is in its fifteenth year of business, sadly, this year leans towards saying goodbye for many of my beloved pets. And so, reflections allow perspective. 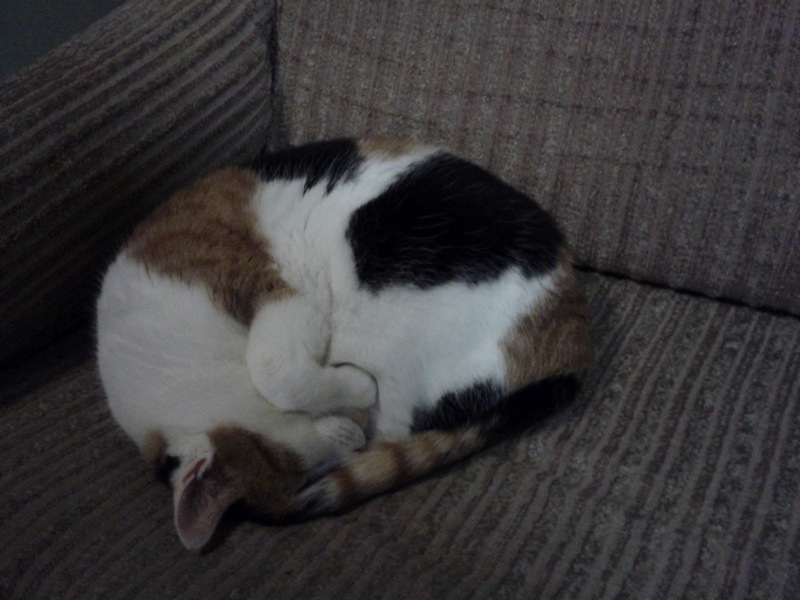 as Patches and in a loving home - One of our "wins" this year! notes of thanking us for our care in the recovery of loved pets, as well as thanking us for our gentle hands at the end. This year, this book has been opened a lot more than in previous years - to reflect upon as well as to add to it. The core of what we are at Russell Vale Animal Clinic is to be "of service" to our animal friends whenever they require it, with kindness and compassion. It is this thought I hold close to my heart during my reflections. Have we been true to ourselves this year? Have I and my family been of service to our animal and human friends? And if we have, then it is a good year. And upon reflection, that is all anyone can ever ask of themselves - to be true to oneself. It is easy to look at the superficial things of business success (the awards and prizes) and business failure (the old beat up car, house needing repairs, and lack of money in the bank account) - and find that the balance sways from side to side, with the equally sway up and down of the emotions (success/failure). It is easy to feel despondent about life not being fair, or go the way you had planned it to go, or to be angry at those who attack you. But it is with love, truth, compassion and kindness which makes a family and a life, and in developing this, our lives are enriched. As you reflect upon this year, remember to be kind to yourself and to others. If you have been true to yourself, then it has been good year, irrespective of what has happened around you and to you. I am Dr Liz, and on behalf of all of us at Russell Vale Animal Clinic, we wish you and yours a safe and Meowy Christmas, and hope you all have a Barking Great New Year! I used to be an avid reader of mystery novels, such as Agatha Christie, and I used to love reading all about Holmes, and his elementary sidekick Watson. 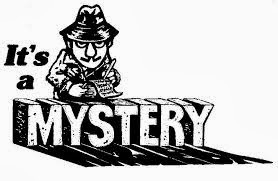 Trying to solve the mystery, to piece all of the clues together, like pieces of a jigsaw, to come up with the solution to the whodunnit was lots of fun. This gave me great training in what I do every day as a vet, except the whodunnit is often a "what disease process caused this" type of mystery. And like the crime solvers of modern times, vets, like me, do a series of tests to get more information, so we can reach the right conclusion, not just "any conclusion". We all know of stories when the wrong person is convicted of the crimes just so a conclusion can be reached, and we all know this is wrong, even though modern forensics acquits them eventually. In veterinary medicine, shortcutting the diagnostic process to reach any answer, can lead to a misdiagnosis (the wrong conclusion) , which makes no one happy in the long run. Recently, a loving pet owner, whom I met for the first time, said to me "I do not want to do any tests that are unnnecessary". This was said to me after examining her very sick elderly dog Terri, and explaining the tests that I would like to do to identify more what could be going on. She was, however, very concerned about her beloved friend, and wanted to know what was wrong with her. recommend any tests that are not needed. I do, however, be as thorough as possible and let owners know of all the tests or procedures that may be suitable to help me reach a diagnosis, but I would let them know which test was the best to start of with. Once I explained the steps we take in diagnosing a pet, she understood, and we were able to work together to identify Terri's problem. Unfortunately, the tests confirmed my initial suspicion, which was that Terri had cancer, but it also gave it a specific name too, and with that, we had good options of treatment. Let us be clear on what a "diagnosis" actually is - A diagnosis is the final conclusion of what the pet is afflicted with... no ifs, buts or maybes. It is 100% accurate, to the point that if the pet went to another veterinarian with similar signs and tests results, they would come up with the same diagnosis. A "presumptive diagnosis" or "differential diagnosis" allows for the ifs, buts or maybes - it could be this, it could be that, but it is more likely than not it is "abc" disease. A "diagnosis" and a "presumptive diagnosis" may be the same thing, or they may not be. And this is where the danger lies - calling the presumptive diagnosis or "initial assessment" a diagnosis.... this can lead to a mis-diagnosis. And we all know what happens when a pet (or a human) is misdiagnosed. So how do vets get to a diagnosis? There are several ways to get to the answer, with the specific steps changing depending on the situation, but it mostly falls into two main ways, which also inter-relate too. What both techniques have in common is that they always start with information about the pet, such as age and breed. Questions are asked of the owner about what they have noticed different. Knowing the pet's previous medical history is so important. 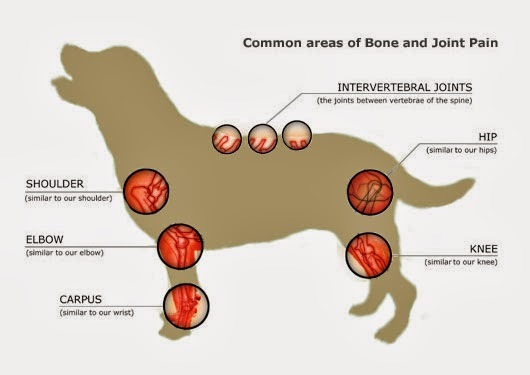 With that information, we can then go and do a full and complete hands on examination to try to find little clues as to the changes in the pet's body. We review things such as temperature, heart rate, breathing rate and pattern, swellings in the abdomen or changes in the eyes.... we are looking for any abnormal finding to go onto our list of clinical signs. Vets are experts in this, as they know what is normal, and thus, what is abnormal. 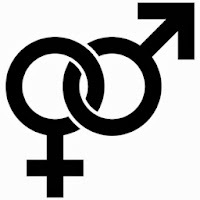 Once we have our list of clinical signs and abnormalities, then we go into the next phase, and this is where it splits into the two ways of figuring out what the problem is - the "diagnosis" the path may be either "pattern recognition" or "diagnostic problem solving", or a even a combination of the two. 7. Caudal abdominal pain with possible mass. "Pattern recognition" is used daily by all vets to diagnose common diseases which have consistent presenting signs. 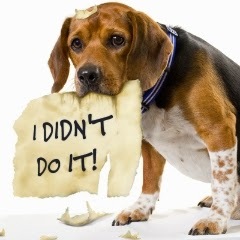 All owners are guilty of using this also, when they search google for the "diagnosis" of their pet's ailments, or for when they seek or follow advice of friends or relatives on how to treat their pet's condition. For example, in our area - vets would use this way to diagnose "paralysis tick poisoning", or some acute skin conditions, such as hot spots. The limitations in pattern recognition is that it quickly excludes a whole raft of other possibilities for that pet's clinical signs, and thus, can easily lead to a mis-diagnosis, and thus inappropriate therapy. In Terri's case, she came in for nausea and dramatic weight loss. The nature of the weight loss, and where she had lost weight from, made cancer likely, but how would you feel if, as a vet, I said to you "your pet has cancer" just based on how they look? I know exactly what you would say, as I have said that line to clients. "How do you know?" you would ask, quite legitimately. Terri also could've been diabetic, or had a bowel obstruction or any other million of conditions causing the same signs. In the situations where I have come out with the cancer assessment upfront (although it is rare for me to do that), is based on physical examination findings that support it. But in Terri's case, whilst I might have suspected it, I didn't know for sure, and certainly, not sure enough to come out and give her the horrid "C" word diagnosis. And I certainly would not have come up with which specific cancer she did have without further tests. Without the specific cancer, I wouldn't know what treatment options that would've been available for her. So that brings me to the next way - which is "diagnostic problem solving". This can be easy or complex, depending on the particular situation. Using this pathway, all things are considered, a logical pathway is taken until, at the end of it, a diagnosis is made (or as close to it as possible). We look at the problem list, and we go through each item individually, making mental notes on which organ system is involved. We then make a determination on the most independantly signficant sign we want to "work up". We then make a list of the potential body systems that are involved, then the possible conditions/ diseases that could affect those organs, and then systematically go through to see if they fit in with the other signs the pet may be showing. After all, everything has to fit, somehow. Now, in some cases, this is enough to come to a diagnosis, but in most we need to gather more information, whether it be through tests or more questions of the owner or physical examination. In Terri's case, the most specific sign was abdominal pain with a possible mass in the caudal (near her hind legs) abdomen. Radiographs and/or ultrasound would help define what is going on. The next most specific was her overall signs of general "unwellness". Blood tests give us a insight to the internal going-ons and the Comprehensive Health Profile is a good place to start. At 12 years of age, Terri had never had any blood tests at all (this would be like an 80 year old human, never having blood tests - unheard off in our society). From the loving Terri's owner's perspective, she did not want to do any tests that were not needed, but she desperately wanted to know why Terri was unwell, and what can be done to help her. 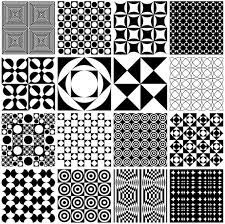 Unfortunately, she wanted (and hoped for) a "pattern recognition" path of diagnosing, when Terri needed the "diagnostic problem solving" technique. Obviously, there is a cost difference in the two aswell, and I don't doubt this factored into the owner's mind. 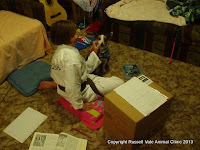 As a vet, every test I do or order is never unnecessary, as it gives me information about the pet that I didn't know before, AND, that I need to know to better help understand what may be going on internally. Even if the tests do not show up anything specific, and haven't given us a concrete diagnosis, they still have given us information on what the pet does not have. And like any mystery novel, that is half the battle - you go through the alibis of the suspects, and cross them out as you go along, added to the information you have, to eventually be left with the guilty one. When owners ask me "what is the right test to diagnose my pet's condition", I usually say "it is the last test we do"... by that I mean, we may need to do a series of tests to determine what is going on, and it is usually the last test that confirms the diagnosis, ends up as the right test to do. 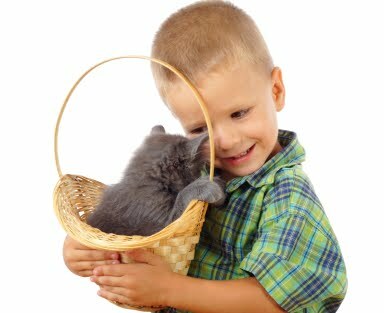 As a pet and human parent myself, I do understand the frustration and worry of an unwell child or pet, and the uncertainty that comes with it. I do understand the desire and urgency for an immediate answer and solution. As a vet, when many of the diagnostic steps I take are second nature to me, I may sometimes forget what it can be like from the pet parents perspective. When I babble on about this test and that test, and the other whatsamajoobie thing that goes into something else to grab a sample, I can get so caught up in trying to get the answer to solve the mystery, I forget that you don't know how hard my brain is working to come up with a short list of possible conditions, and if needed, tests to confirm or refute these possibilities. If at any time you, as a loving pet owner feel that I am forgetting you in this process when I am looking after your pet, you have my permission to remind me. After all, your pet needs all of us to work together to help make them better. Diagnosing illnesses in pets (and in people) is not always easy, no matter how it looks so on TV. Dr Google does an awfully poor job of it too. What I didn't talk about is my belief that helping pets is not all science and knowledge but also experience, care and empathy. 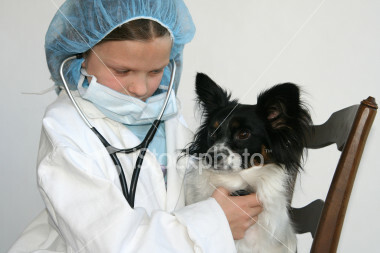 I am Dr Liz from Russell Vale Animal Clinic. Has this helped you understand a little bit more about what we do? I hope so. Let me know what you think. Have you ever held a belief, one which you always thought to be logical, and therefore, true... and then be confronted by a different view, which, in reality, resonates with your experience? In the past, examples would be finding out the world was not flat, or that we are not the centre of the universe. The belief which has been shaken recently in me, is (almost) as dramatic. 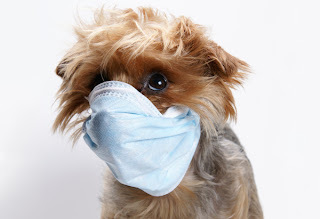 This belief is not religious or political - I won't go there in my blogs - but it is about how we think about our pet's risk to disease, especially those such as Parvovirus and Canine cough. These are two very highly infectious, highly contagious diseases which affect dogs in all areas, including our own beautiful Wollongong dogs. 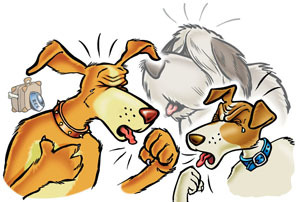 Parvovirus can be fatal if severe and untreated, and Infectious Cough (Canine Cough), whilst not fatal, the cough can be severe enough to be debilitating - who likes to hear their pet sound like a goose, honking multiple times a day. My previously held belief on the high risk / low risk pets to becoming infected or exposed to disease, was based on the premise of increased chance of exposure to these same diseases. That is, if you were a social butterfly, ready to meet and greet the world, go to the Dog Park or beach or other area where dogs frequently visit, then you were a "high risk" pet. And those pets who were indoors more often than not, were rarely likely to see another dog, let alone pick up anything from them, were "low risk". 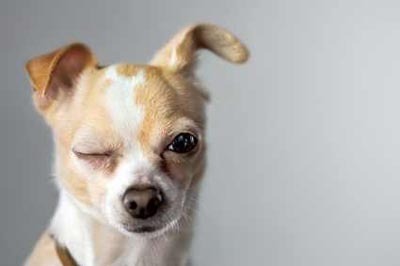 I mean, if you never saw another dog (or rarely saw one), surely you were at a lower risk of picking up these infectious diseases - you wouldn't get within cooee of these bugs, thus, you wouldn't get sick? Right? This is where I was challenged by an alternate view, by a Canadian (no less). Whilst he talked about views which I didn't agree with, such as he felt the three year vaccine (Triennial) was experimental, and therefore, we shouldn't be experimenting on our dogs, he did come up with some impressive quotable lines, such as "we are more likely to believe a simple lie than a complex truth". What I am trying to talk about today is the concept of what is a high risk or a low risk pet with regards to risk of disease. The challenge was - a pet at high risk of infection or disease from preventable disease, or for that matter, any infectious disease, is actually the one that hardly ever sees another dog or cat. The reasoning being that the pet is not exposing itself to enough environmental stimulation or "boostering" of their immune system. Therefore, their immune system is unprepared when it is attacked by a sufficient stimulus, and if they are unvaccinated as a result of the belief of "low risk", they were at an even higher risk of disease. Based on my original belief (which is held by many), this would be the "low risk" patient - that is, exposure to disease is unlikely or rare, and thus vaccinations are unnecessary and over-kill. A true blue human example of when a "low risk" is really a "high risk" would be the toddler that goes to preschool for the first time - don't they always end up snotty nosed a few days later, when they come down with whatever they have picked up at their daycare centre? If they went rarely, their immune system would only get a sporadic boost to get the army ready to fight the virus/bug it needs to. So, you the poor parent spends the remaining 6 days, getting a snotty nosed kid better, just to throw them back in, and start the process all over again. 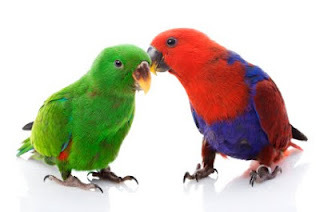 Now what about the pet that is the social butterfly?. This would be child that goes two to three times a week to preschool. Whilst they may be snotty in the first week or so, after that they seem to be "immune", in general to the bugs, and you, as the lucky parent, are dealing with a less snotty child in the long run (woo hoo!). Under the new premise, this would actually be a "low risk" patient for becoming infected with disease, as the ongoing exposure to low levels, during their social activities, actually means that they are "auto-vaccinating" themselves. That is, being exposed to lower levels of the virus, during the social outings, makes them less likely to get full - blown - pet-killing- disease, and, in theory, less likely to need vaccinations also. Under the old belief system, we had them in the "high risk" category, as they were more exposed to infection, and obviously, needed to protect them more. I envy the old days, when ignorance was bliss - as vets, we vaccinated everything that moved, because we had seen the horrendous effects in those pets who suffered profound, protracted bloody diarrhoea and absolutely excruciating nausea and vomiting (Parvovirus), or those pet's whose long mucoid snot and yucky eyes, if they did not die, often led to ongoing seizures and brain damage (as a result of Distemper). And loving pet owners knew they needed to vaccinate or immunise, as this was the best thing to do. Those were the simple times. Now, we are in the "modern" times, and less pets are being vaccinated than ever before, because people read alot of stuff on the internet, based a simple lie, rather than opening their ears to the complex truth. 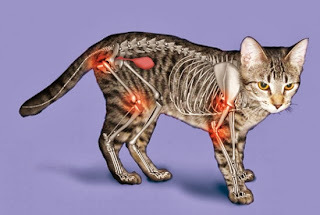 Why does this pose a risk for our pets? Because this Canadian vet made a very valid point - if every pet owner vaccinated every pet as they should (assuming it was safe to do so) as puppies, and if every pet vaccinated their pet each three years as they should (assuming it was safe to do so), then the "modern" vaccination recommendations of Triennial vaccinations could possibly work. But as there are many unvaccinated or irregularly vaccinated pets in our community, and then we dilute the communal immunity even lower with a longer vaccine interval, then the risk of disease in our pets may change (i.e increase) , and this is something that the veterinary "powers that be" probably didn't consider in their projections. 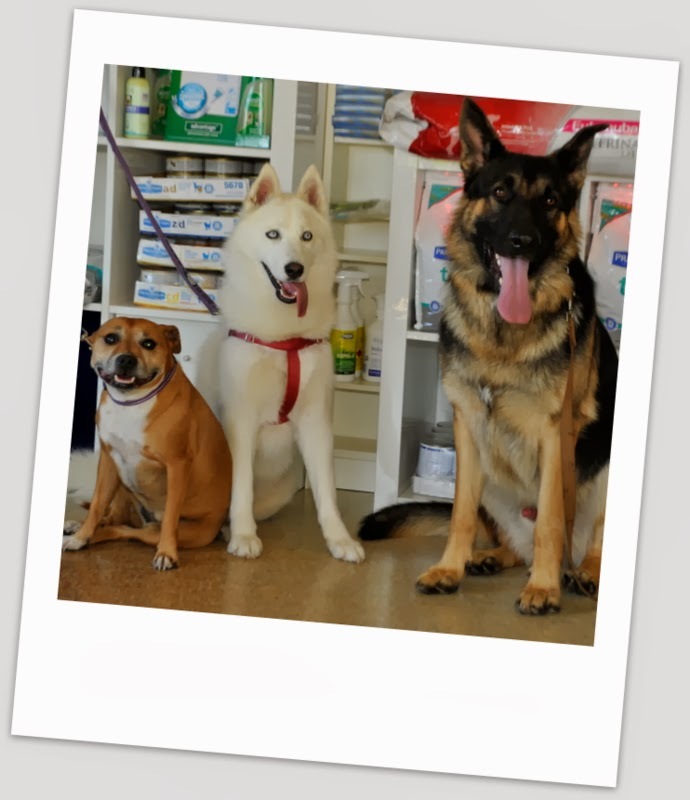 Now I have to give a disclaimer - Russell Vale Animal Clinic was the first veterinary hospital in the Illawarra to introduce Triennial Vaccinations in our dogs, and the first to introduce in-clinic vaccine titre testing (in accordance with WSAVA guidelines). I say this to show that we practice in accordance with WSAVA guidelines. But, I also have been a vet for over 20 years, and I remember clearly the animal wards full of puking puppies, and the seizuring dogs, and the blue eye (from hepatitis). It is my biggest fear that we may fall back into those dark days because of complacency, fear, and lack of compliance from owners. As a vet, and pet lover, I will be monitoring this very closely, and amend my protocols accordingly. So rest assured, that when I examine your pet, in my consultation room, and they have come in for their regular check ups (as all pets should twice a year), and when we assess their need for vaccinations (which I do all the time), I will take all factors into account to do the right thing, for that pet, using the knowledge I have at that time. This is what I love about my veterinary profession - we care, and we always try to do the right thing by our pets - because that is what we are all about. I am Dr Liz, the vet from Russell Vale Animal Clinic. 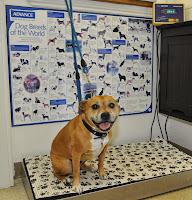 We would dearly love to see you and your pet for their regular health checks, so why not come in and check us out. 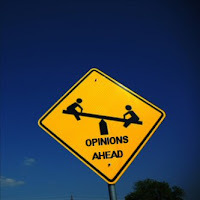 A word of warning before you proceed - this post will pose a challenge for most of you, and it does get deeply personal, a bit depressing, and opinionated. In other words, not one of my more happier posts. It goes into a dark place - fear. Fear is a place that those loving pet owners with pets with anxiety and phobias need to dip their toe in to understand what their pet goes through when they suffer seperation anxiety, or when they are scared of fireworks or storms. It needs to be said to explain why giving a few doses of Rescue Remedy, or a dose or two of valium just won't cut it, as this seems to be the favourite of many owners. It is also not your standard noise phobia or anxiety article or chat. This is written to help you understand what your pet is actually feeling when they are hiding under the doona in your bed when the thunderstorm is on. "If I can't see it, then the boogey man can't get me"
In any fight or war, you need to know who or what your enemy is. And, as any strategist of war knows, you also look at what you want your outcome to be, what collateral damage is within acceptable limits, and at what point do you need to rethink your strategy for your campaign. Sometimes, the best strategy is to give up the fight, and at other times, it is to stop using a water pistol when the army should be using something a lot stronger. In an anxious pet, the enemy is fear - the fear of what they think is going to happen (otherwise known as anxiety), the fear of what they remember happening in the past that was really really scary, the fear of being alone, the fear of being in the company of others that they don't know, heck... even the fear of the vets (though fortunately I don't have too many of those). What strategies are available? 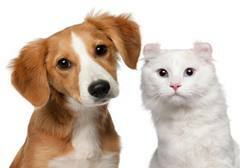 - There are lots, but which one is going to work in your pet? What is your acceptable outcome? - is it a calm normal pet? or one that doesn't hurt itself or others? What collateral damage is acceptable? In other words, how much effort, financially and emotionally are you prepared to put into helping your pet?. And at what point do you reassess and rethink your program? Is it after a single treatment? Are you going to give it more time? I am all over the place. I need help"
In fairness to most medications and re-training programs (behaviour modification) - it takes at least six months of ongoing work, tweaking medications, re-adjusting training etc before we can call it a failure (or a success)... and this often doesn't fit in with many owners of wanting a quicker, effortless solution. To want a quick solution is normal and understandable if the power of fear is not understood or appreciated. And we have a life, family and other big commitments too. But once you understand what fear is and does, then you will appreciate that the solution to your pet's fear and anxiety is not always easy, and that there are never any quick fixes (other than a permanent one). Fear has a real power - when you have experienced real fear as a result of the actions of another or from an scary event, it changes you forever. You will never ever be the same person you were before. Never, no matter how outwardly the "same" you look or act. And if the cause of that fear is still out there in the community, that makes it harder still. If that fear provoking person (or event) crops up every so often, and not necessarily in a threatening way, but just by their presence, then the sick gut, the dry mouth, the heart racing, the head spins and you don't know which way to go. Your mind races a million miles an hour, remembering all of the real things that that "thing" did to you. And you want to escape. You want to hide. But that thing is not hurting you now - but the anxiety (the anticipation of pain) is. That is fear. It happens. It's how we deal with it, that counts. "Under my blankee works for me"
But, in some of us, fear takes on a life of itself, and refuses to be controlled or manipulated. The veterinary behaviourists call it maladaptive, in that this reaction to this fear serves, well, the reaction serves no purpose, and it is actually harmful, when the pet hurts itself, hurts others or damages property. From a personal perspective, you never forget true fear or the event that caused it. All you can do is develop strategies that help you cope with that fear in a non harmful way to yourself or others. And the surprising fact is, that an unrelated situation is able to trigger a severe fear reaction (this is generalisation). I say this to show that I personally understand the fear that our noise phobic dogs and cats feel - it never goes away, they need help (like we do) to develop strategies to help them deal with it. Our pets often try to develop their own strategies to cope. Some are not so great (such as shredding doors, eating tin sheds - lacerating themselves to bits). Some are better - finding a nice dark place to hide, and hope that if they can't see the evil, the evil can't see them. They will shake, tremble, pant, pace if they have to, or they will just sit still and freeze in pure fear. What are you doing to help your pet with strategies to cope? Did you realise that vets should be your first port of call when your pet has a behavioural problem, not your last? 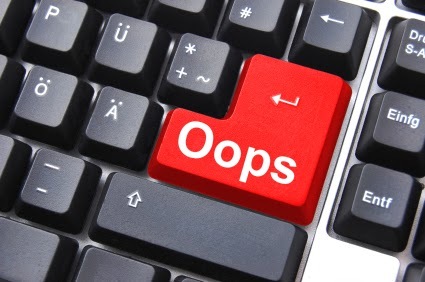 Don't wait until the problem gets severe, but when you first notice signs. Most vets are knowledgeable about the basics of anxiety, but only the veterinary behaviorists are the experts in it. In other words, there are experts out there who can help you. But don't leave it until it is too late. I am Dr Liz, and I am here to help your pet whenever I can, and can help your pet seek the therapy they need. "We are special - we deserve to be microchipped. you when we are lost"
As a vet, I dearly love that that most of the pets I see are absolutely adored and loved. As part of our complete check up, we not only do a complete physical examination, we also check every single pet's microchip and their details. Now.... here is where I see a huge.... almost massive... disconnect between my own clients who I know love and adore their pets..... and many lost or stray dogs (rarely cats) we see almost daily. At my last tally, 70% were either not microchipped, or had microchip details which were not accurate or up to date. And this meant a stressful time for everyone.... for us, the pet (they are not home), and the family from which they came. From a veterinary hospital perspective, scanning and checking for a microchip is time consuming. I won't deny that at all, but it is time well spent in my opinion, if it means that if we ever need to rely on that information, we know it is accurate. Wouldn't you agree? 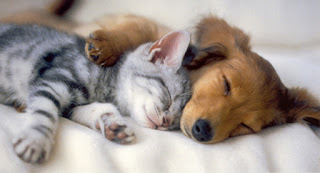 Checking the database registries, and going through the information with the loving pet owner is also time consuming. But wouldn't you want to know that the changes that were supposed to have been made on the database were never done (for some reason)? I know I would! 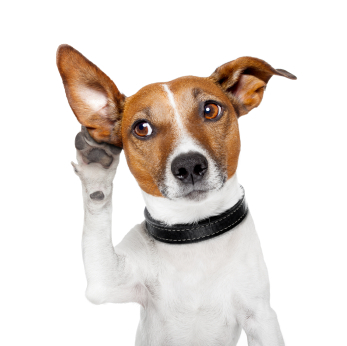 Every single pet that comes in for a vet check or full consultation have a horrible thing waved above their shoulder blades waiting for a bleep, which indicates that the scanner has read a number. A number is a number, which means nothing if that number isn't on a database that it is supposed to be on. And so, the next thing we do is check the databases to see what information is there, and is it accurate or not. The main one we check is the Companion Animal Register, which is the database that all NSW based pets need to be on.... by law! And then we have the stray dogs (and cats), who come in with no sign of any identification on them at all. 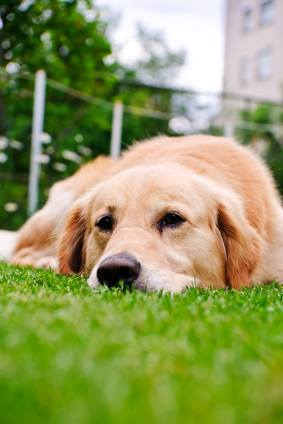 What is so hard about microchipping your pet? It is not expensive.... and if you love your pet, it shouldn't matter how much it costs... because suffering the loss of a loved pet, and not knowing where they are is so painful, that to ensure that you have taken all steps you can to make sure they come home, is.... what does that mean to you? is it worth whatever? Finding out all of the above does not make me feel warm, fuzzy or excited! In fact, it makes me feel sick. It means that people didn't care or didn't care to know what responsible pet ownership actually means in NSW. I didn't write the laws, and God knows, I opposed the majority of the rules that the NSW Government brought in with respect to the Companion Animals Act, but the law is the law. I may not like it, but I must abide by it. Recently, I saw a new pet that had been owned by the current owner for the past 11 years, and it was still in the breeder's name. 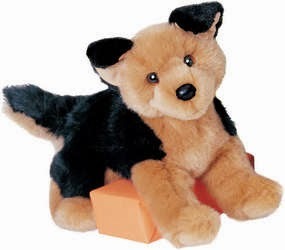 Fortunately, this pet never left home, so no harm was done at the end of the day, but what about those pets who have left home.... with lonely owners expecting the chip to bring their pet home. The other day, I saw a Maltese Terrier who was brought in as a stray.... it was not microchipped. And this is a scenario that is almost weekly, rather than a rare occasional occurrence. This is devastating for me and my team, as we are faced with an absolutely gorgeous friendly dog, who through no fault of their own, had no identifying tags or chips to let us know where home was. By law, this dog had to go to the local pound, where we hope he was able to be re-united with his family. But I didn't feel good about him going there at all, as it could also mean a death sentence. Seven days in an unmicrochipped pet. Criminal, in my view. I won't go on with stories, as it would end up as long as War and Peace, or the Lord of the Rings! 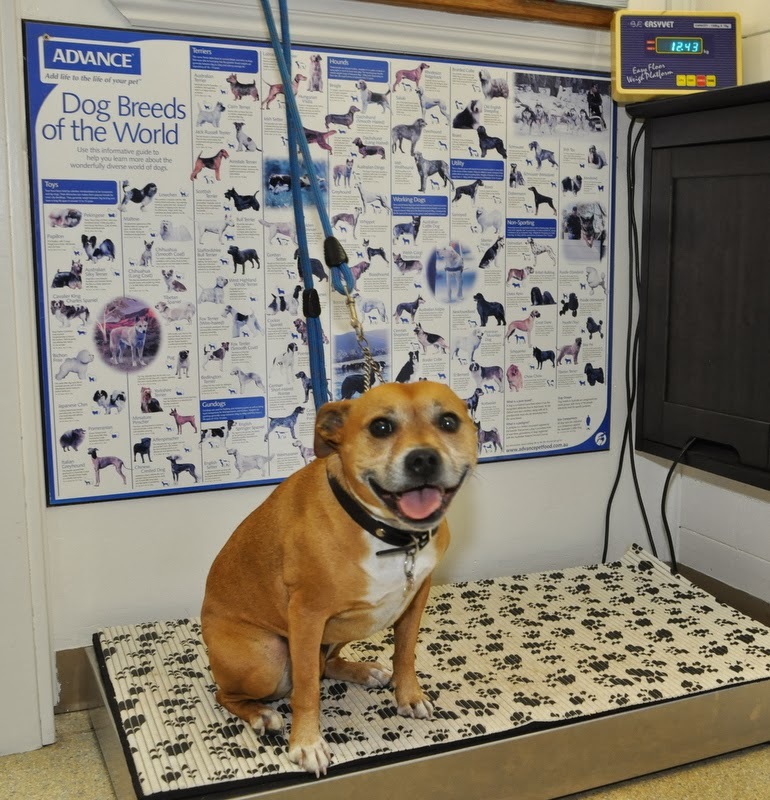 What does microchipping your pet involve? 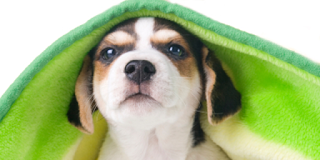 Form 3 - we also place all microchipped pet information onto the National Pet Register. We are only one of two veterinary hospitals in the Illawarra who are AVA Microchip Accredited, which was a surprise to me when I looked it up. 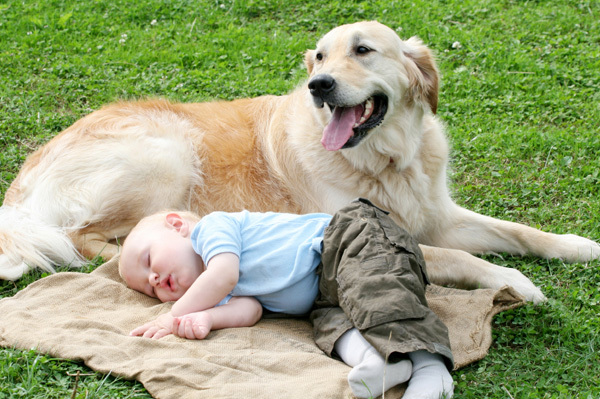 We have been AVA accredited since the scheme began (after the introduction of the Companion Animals Act in NSW (1998). And we maintain this accreditation through our determination to offer a veterinary grade accredited microchip service at a competitive price. The actual implanting of the microchip is quick, easy, short - and your pet is usually filled with liver jerky to make the "big needle" that everyone talks about, easier to take. It really is not a big deal at all where your pet is concerned. I am Dr Liz, and we love helping animals get back home. We have a facebook page dedicated to reuniting pets, and we spend many hours weekly dealing with stray pets and getting them home. Please do the right thing, and have your pet microchipped, and then have that chip checked every year at your pets next vet visit. 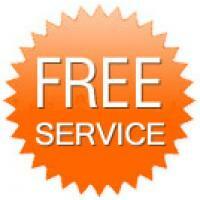 If you need more information, if you have lost or found a pet, do not hesitate to contact us on 02 42845988. My father was an absolutely interesting man, and whilst not perfect, there was one thing which was truly special about him - and that was his love of animals, and even more special, on how they seem to gravitate towards him. 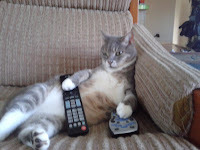 After he died, we eventually rented out our family home, to a family with pets. Asleep - on the bed - and I wonder what else they are sharing..
And recently, they moved out, but their pet's fleas did not. So, I have now had to deal with an all too common scenario faced by many loving pet owners - how to deal with fleas which won't die... or as the true situation is - how to eliminate the flea plague living in your house. It has been over month since the tenants have moved out, and during that time, the house has had three seperate environmental flea treatments. The first one was a professional pest control treatment (and I was warned a second one would be necessary). had no adult fleas, but like any other human being, I got impatient, and bought the flea bombs from the supermarket about a week later. It promises to sterilise the flea eggs, and stops them from hatching for up to 9 months. I visited the house almost daily, and found no fleas - and thought! wow! that has worked. And then, I couldn't visit for a week and a half. I was there one afternoon, and after 2 hours, had to leave. Those little blighters were at it again! So I set off another set of flea bombs, as a knee jerk reaction. But I had to ponder why did I, or why should I, need to repeat the treatment? 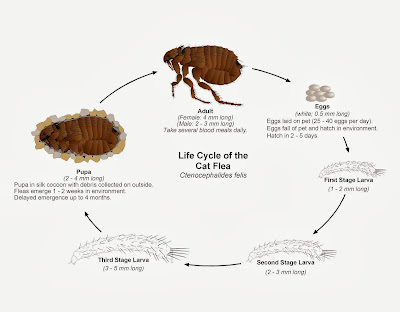 The answer is because of the flea life cycle - they hatch in "waves", and they must go through the egg to larvae to pupa stage - and whilst the flea treatments work on the adults, and the flea bombs on the eggs, they do not do much for the larval or pupae stages! Patience is a virtue, but being attacked by these fleas is really challenging mine. On many levels. As one who loves animals, as a veterinarian, and, now, as a landlord. 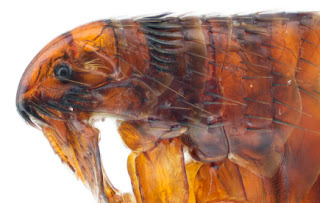 As an aside, I often get the comment from clients about "grass fleas" - I now have a new "brand" of fleas - I have have "carpet fleas", "tile fleas", "timber floor fleas" and "laminate fleas", as what is jumping me on me when I am in my old house are definitely fleas, but seem to come out of nowhere. 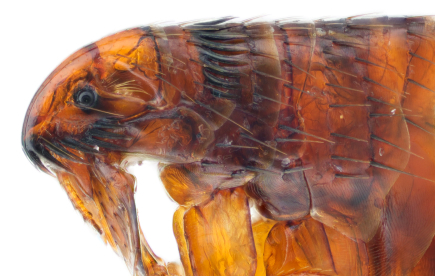 The fact is that these are all the same type of flea, which is the "cat flea". 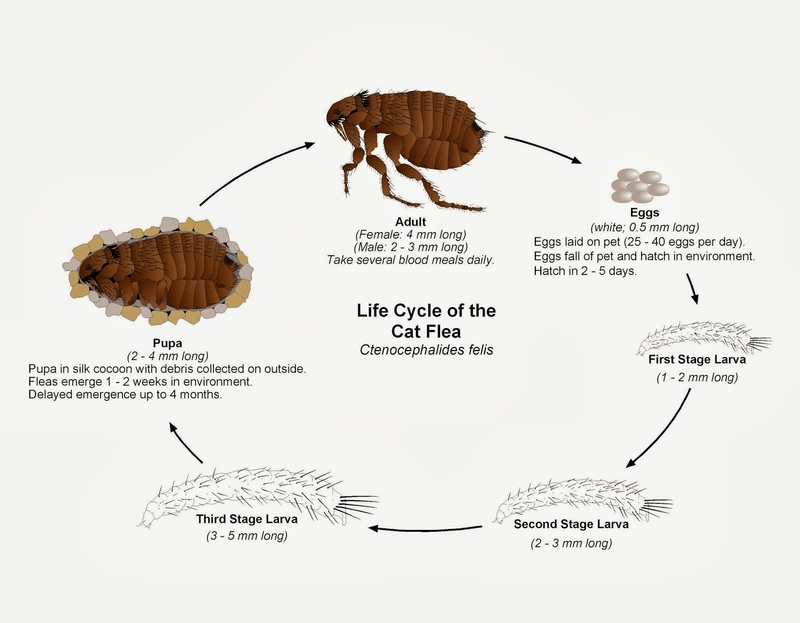 The real flea problem in any environment are the eggs that a pregnant adult flea lays, which she does on the pet, which fall into the environment...wherever the pet may be. Patience - essential - the flea eggs can live in the environment for up to a year. To expect to be flea free after a single treatment is not a realistic expectation. 95% of the flea problem is in the environment, with 35 % in the pupae (not able to be killed readily) stage. Vaccumming regularly is essential - this stimulates eggs to hatch and continue on the life cycle - the adult fleas are then killed by any flea bombs or treatments, or sucked up into the vacuum cleaner bag - to die a slow death via flea collar). How regularly? I would recommend each 2-3 days, and emptying the vaccum cleaner bag each time. Quality flea control on your pets - we would suggest using Frontera flea spray (Ilium) - even though as a spray it is an initial nuisance, it will provide the best flea protection your pet can get. (Of course, if your flea problem is not as bad as mine, then you can use the spot -on type treatments). In my situation, there are no pets in the house, so the fleas are choosing me (as the closest living creature) by default. the Australian Veterinary Association Practice Management conference in Sydney in July 2013. The speaker was a dietician, who spoke about Work/Life Balance. And in amongst all of what Work/Life balance was all about (which isn't about working less, and life-ing (living) more), she talked about her own business, and how she assessed and measured and therefore, ensured client satisfaction. The comment that pricked my ears, was the one where she made that the customer satisfaction was increased if they liked the dietician, and it was unrelated to the information or knowledge of the dietician. 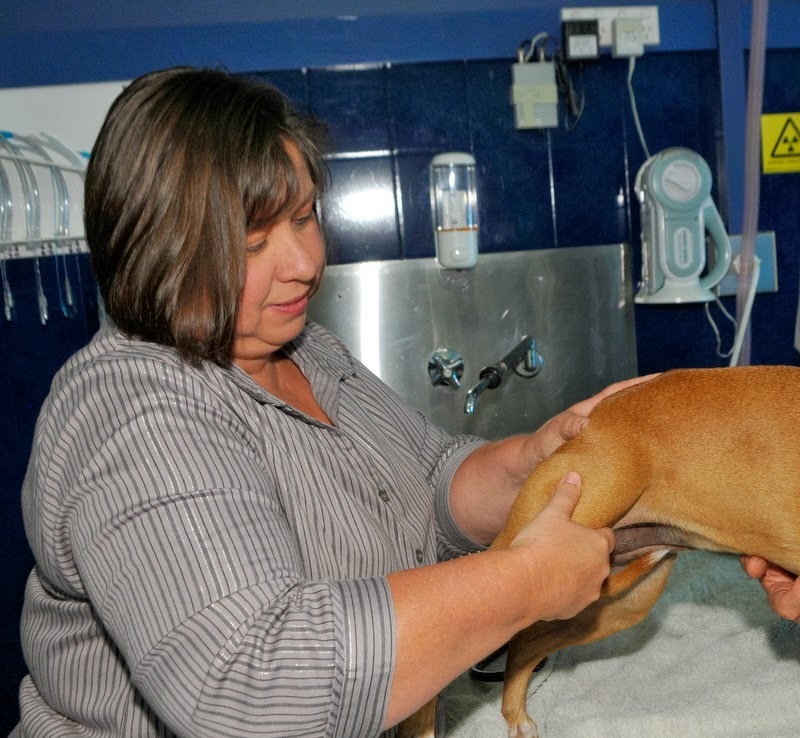 my patients at home - a "hospitalised"
patient at Russell Vale Animal Clinic. trust to likeability in the workplace. The problem I had with that blog is that it implied that it was your fault that you were not trusted, as you must've done something dishonest to have deserve that. And I do have a problem with that comment. Con men or scam artists cannot be trusted, but aren't they likeable? Isn't this how they get away with what they do? Aren't we more likely to trust the likeable, even if they don't deserve our trust (or our like?). but how about the care he is getting? What about how someone looks? There was another webinar on customer service, and it make a point that attractive sells. We are more likely to buy if the person is attractive, well dressed, well groomed. Does the care I take of your pet change or differ if I wear daggy trackpants and a comfy Tshirt, or if I am not wearing any makeup or if my hair is due for a trim? It doesn't, but your perception of my care does. And thus, your satisfaction of what I do. And I get that, which is why I don't even own a pair of daggy track pants (and I don't wear a Tshirt to work). I can't make myself look like Elle McPherson, nor can Dirk look like Brad Pitt. And it is no help that make up causes a bad reaction - my eyes go all puffy, they go red and I feel ill. So my basic makeup is, well, minimal. Sad, as I do like to be comfortable when I am on the floor playing with the puppies and dogs, or doing the cat whispering with the cats on the Feliway sprayed bench... and having legs up to heaven would be nice, considering I am short. There are so many nuances to happy, satisfied pet owners, and I don't believe it is all about how we look where loving pet owners are concerned. I think it is a complex mix of things, and I, and all of us at Russell Vale Animal Clinic work towards making your pet as happy and healthy as they can be, and as a result, make you as satisfied as you can be with what we have done, and how we have done it. After all, isn't this what you want from your vet? 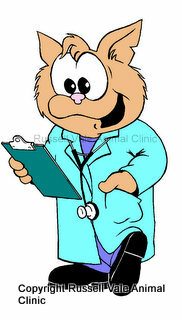 I am Dr Liz, and all of us at Russell Vale Animal Clinic get absolutely excited every day that we turn up at the vets. Call us on 42 845988 or book online (via our website or email us directly).